My son graduated from high school last week. The weight of that sentence and my feelings around it is an entirely different blog post, probably one that will require a box of kleenx for both of us. This blog post is about the party decorations that I made for his graduation party – a party that he didn’t even want. He isn’t big on celebrating; he doesn’t like to make a fuss about himself. The only reason that he agreed to have a graduation party is because I reminded him that parties usually mean gifts. He figured the possibility of gifts was worth the annoyance of putting himself on display for everyone to congratulate and celebrate. Mama Kat’s Writer’s Workshop prompted me to write this blog post: 5.) Pinterest Inspired! Share something you pinned and actually tried. I started planning the graduation party back in January: finding a venue and hiring a caterer, photographer and DJ (seriously, I haven’t planned anything this big since my wedding). I would do the decorating, but I didn’t want the decorations to be girly (so no flower centerpieces) and I wanted to stay true to the modern aesthetic of the party venue, a gallery/loft-type of space. Naturally I turned to Pinterest for inspiration and ideas. While the rock candy centerpieces were the only Pinterest-inspired party decorations, my crafting and creating didn’t stop there. The party space has a really awesome hanging decoration over the gift table and I had the idea of filling the empty glass balls with something in the party colors. To be honest, I looked in every local craft and paper store as well as online before I was resigned to making something myself. I bought the tissue paper from Party City for $.99 a pack, googled “tissue paper balls”, watched a YouTube video, and my daughter and I made 16 balls in about 40 minutes. It was definitely cheaper than buying anything and we had a good time crafting. The dessert stand was another place that I wanted to be special and the bookcase at the venue was perfect for the display. I made signs listing all the dessert options. I had seen cupcake toppers on Etsy and considered ordering a custom design, but I decided to make them myself. I bought lollipop sticks at Michael’s for about $4 and I already had the cardstock. I found the college logo online, resized it in Pages and printed it with a high resolution. It was a little labor intensive, but not hard at all. I must give my daughter credit for the candy bar; she loves candy so this was her idea. But in order to make this about her brother (who could have cared less about a candy bar) and not about her, the candy bar holds all his favorites. I already had the glass vases and I bought the candy scoops from The Container Store for about $2 each. The candy bar was a big hit with everyone at the party. We hired Halo Photo Booth and it was a fun edition to the party – everyone had a ball mugging for the camera. I ordered some photo booth props from a shop on Etsy and I painted a frame silver that I bought at Michael’s. Even better, Halo Booth made custom signs just for our party and to honor my son. Holding props and signs made posing for the camera even more fun. My favorite custom signs were with our Twitter handles and photos – that was pretty awesome. Everyone who took a photo got a print to take home (or 2 or 10 – I think my daughter took about 50 photos herself!). Halo Booth even designed a custom frame. The party was a blast! We had delicious catered food, an entertaining bartender, a delectable dessert and candy bar and a great DJ. There was dancing! But the big hit of the party was the jazz band that I hired, The Majestics. That’s my son on violin. All of these kids are crazy talented. If you haven’t heard them before, take a listen to one of their past gigs. This party involved months of planning, weeks of prepping and several hours of decorating, but it was so worth it. We had fun, our guests had fun and my son felt the love – he even had a good time. He is the best son and he deserved to be celebrated in a big way. 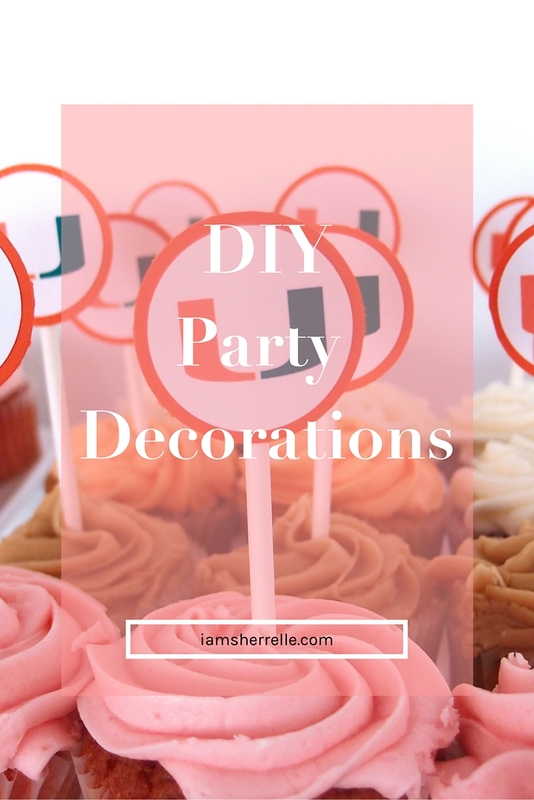 I hope that some of my party ideas and crafts will inspire you to plan a party of your own! OMG! This is incredible. I looks like you had a great time. I may email you in a few years when it’s time to plan my daughter’s middle school graduation. Yes, we had a ball! It was worth all my time and effort. 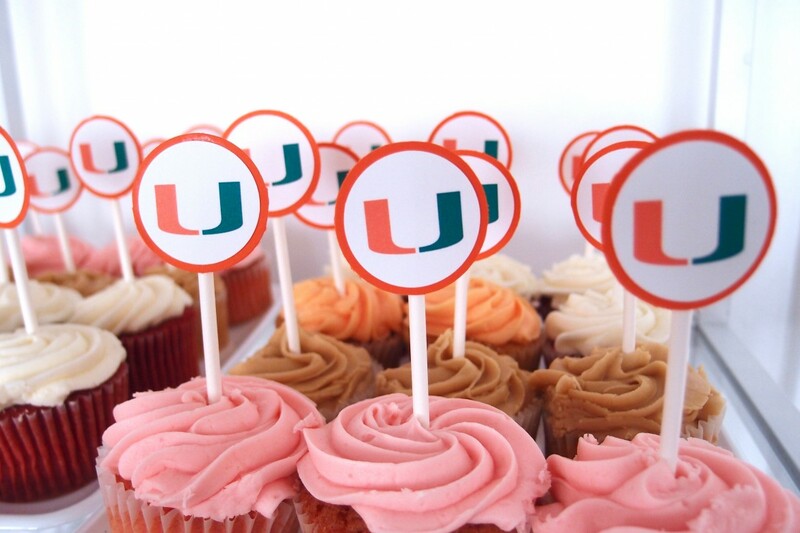 Color me impressed at your party planning skills! Very nice! And congratulations on your son’s graduation! My son graduated on Sunday and he, too, has never liked parties or anything that draws attention to himself. So per his request, no graduation party. I planned to have my son’s scrapbooks all caught up by the time he graduated, too, but I only got to 3rd grade. Oops. Dyanne, the only reason I finished his scrapbooks is because I set a table up in my living room and worked on it constantly from January! I quit scrapbooking when my daughter was born 12 years ago and my life became too hectic for leisurely hobbies.